Earn $13.00 in Rewards credit (1300 points) What's This? 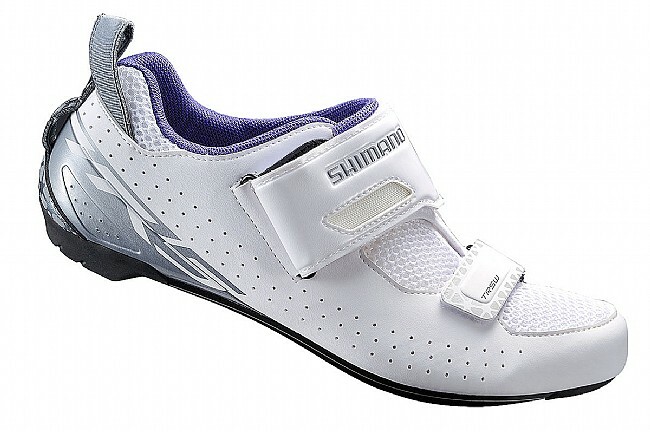 Slipping into the Shimano Women's SH-TR5W Tri Shoes is made easy with the asymmetric pull tab and T1 Quick Strap like the ones found on Shimano's high-end TR9. This means less time spent in transition and more time spent pedaling ahead. Up top, the a perforated upper and 3D mesh interior provide excellent breathability, and down low, a vent at the toes allows for drainage post-swim. 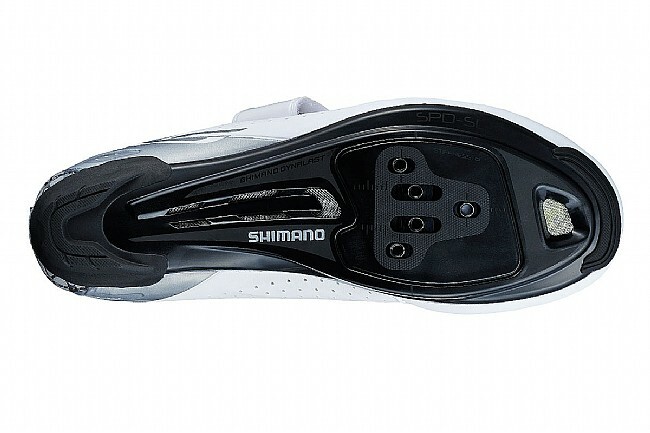 The nylon outsole features fiberglass reinforcement to blend stiffness and suppleness for performance that doesn't come at the cost of comfort, and power transfer is maximized thanks to the Dynalast construction that keeps your feet in the optimum pedaling position. Compatible with three-bolt road cleats or two-bolt mountain cleats. Claimed weight is 247 g (size 40). Great shoes. Extremely comfortable since I ride with sandy feet and no socks. They do not dig into my foot and provide great support.